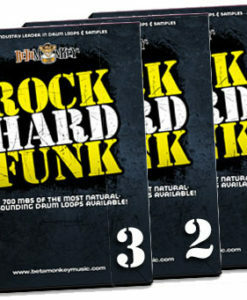 Big and Bold Drums in this Rocking Country Bundle! Order the entire Rocking Nashville Sessions for one low price. 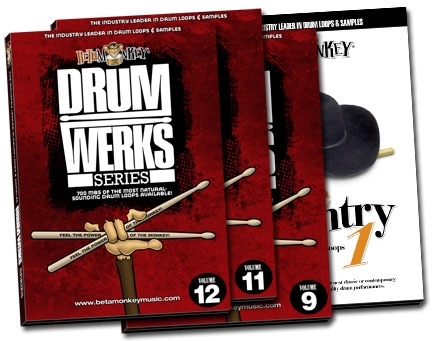 That’s all the drum loops and samples on Drum Werks IX, Drum Werks XI, Drum Werks XII, and Pure Country I combined for only $69.99, a savings of more than 40%! With shuffles, swing shuffles, 12/8 blues, trainbeats, ballads, modern country rock drum styles, these are the essential drum beats and fills of blues, rock, and country. This multiple collection bundle includes 2.5GB of live loops that will transform your modern and traditional country, blues, and rock songwriting projects. Big open room, powerful snack crack, and confident backbeats – a powerful resource of live drumming and samples recorded in one of Nashville’s top drum rooms. When we went to track drum loops for our Pure Country Series, we only thought of one location suited for recording: Nashville. Sure, everyone knows that, right? But, while in Nashville, we learned a few things that go well beyond country music. We learned the level of musicianship in town is unsurpassed – walk into any club, bar, or honky-tonk and you’ll see and hear world-class players on every instrument. We also learned that musicians in Nashville are extremely efficient and productive – when the clock is running, work gets done. Nashville is a great rock town as well as other styles you’d never expect from the capital of country music. We used a timeless classic for a drum kit – the Yamaha Recording Custom drum set — and dialed in a great, live drum mix in one of the best-sounding (as well as best-looking) drum rooms in town. We manned a well-conditioned API board to capture the sweetest subtleties of live brush work as well as the thick, punchy country, country-rock, and rock drum tones you’ve heard on countless country-rock hits. 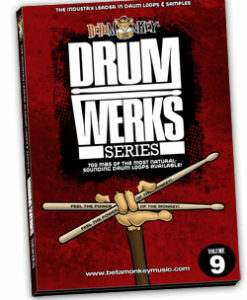 Drum Werks IX: Pure, unadulterated hard rock drums. Big room sound, no added reverb needed. Drum Werks XI: More pure power rock but with some tempo boost! Lots of energy and attitude. Drum Werks XII: Rock and blues. Or, is it blues and rock? Either way, heavy-duty 12/8 and shuffle drum tracks. This is real blues for real blues players. Pure Country I: Rocking Nashville Don’t let the country scare you if country is not your thing. Think simple, solid, 2’s and 4’s, more AC/DC than Garth Brooks, that’s for sure! “Hey Chris, Bo again with another order. I just can’t get enuff of dem Monkey loops!! I bought Pure Country 1,2,3 and Drum Werks XII this time. Thanks for putting out a really useful tool for songwriters/guitar players who don’t play drums!! Just received my Pure Country (III Nashville Brushes), and I am some kind of impressed with your product! Excellent stuff. I am fairly new to Mac/Apple and using Garageband (after being a Cakewalk/PC user for years, what was I thinking?). I am a songwriter but also play out with backing tracks once in awhile, and could never get the right brush sound for the country material. You’ve solved that problem for me. Being that I play all kinds of music, I’ll be buying several more of your great library in different genres in the coming months. I have some new demos I’m working on which will feature pedal steel, a singer, the works! The “Pure Country” drums really make all the difference. They blend in the mix effortlessly and they feel so authentic, I love them! First let me say that the quality and methods used in recording your loops are great! 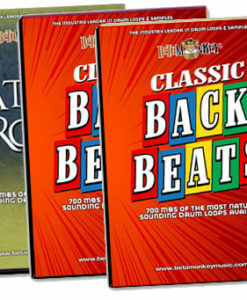 I’ve bought several of your drum loops and have emailed you about needing Country Loops. I’m so happy you have come out with this CD and can’t wait to get it in my grubby little hands. I’m really happy with them!